Home Assistant integrates natively the support of radio home appliances compatible with the Open Source RFLink gateway. In the previous tutorial, we saw how to include connected objects developed using the MySensors v2 library. The inclusion of radio devices using the RFLink gateway is a bit different. The technical documentation lacks details regarding the addition of devices to the groups. RFLink is an open source project that allows to realize a gateway between a home automation software and home automation devices that communicate by radio waves. This is a very economical alternative to the commercial RFXCom gateway. The RFLink project is capable of managing several 315MHz, 433MHz, 868MHz, 915MHz and 2.4GHz radio frequencies. Follow this guide to make your home radio gateway for less than €15. 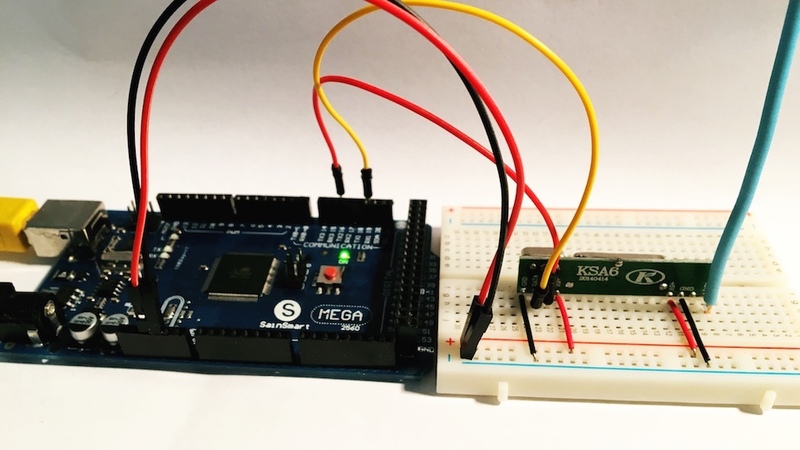 For this tutorial, we will use two smoke detectors Chacon 34126 which communicate in 433MHz. They are found quite easily in DIY stores or online merchants. Warning. Check that the radio frequency used by the device is authorized in your country before buying. To find the USB port on which the gateway is connected, first connect the Arduino Mega to your computer or the Raspberry Pi. Then, in the Terminal, run the following commands to list the connected devices. During the debugging, it is necessary to activate the recording of the messages by the integrated logger. Create a new logger section if it does not already exist. It is possible to retrieve the radio messages as well as the messages exchanged with the gateway. Save the file (CTRL + X then Y) and then restart Home Assistant. I recommend you restart the service from the interface by going to the Configuration panel for example or by executing this command from the Terminal. Now that HASS can connect to the gateway, all you have to do is add the devices to an existing group (or a new group). Unlike MySensors, radio devices are unfortunately not listed in the status panel. The first thing to do is to retrieve the device ID. To do this, a single means, to operate the device to send a radio signal containing its identity. Press the test or command button and open the run-time log (home-assistant.log) in the same directory as the configuration files. Here, by pressing the Chacon Smoke Detector test button, you will retrieve all the information needed to include it in Home Assistant. The identifier is at the got event line. The identifier is generated automatically by HASS. It is of the form protocol_id_type. Open the configuration file again. Toogle: state inverter. Only the ON command is sent. This control may be useful for some devices such as wall switches of the brand Livolo. Here, the two smoke detectors are now integrated into Home Assistant. The display is not yet perfect. The available style overload that allows you to set the sensor type via the device_class option does not seem to work for RFLink.